Rajiv Kumar, a noted economist, has taken charge as the Vice-Chairman of National Institution for Transforming India (NITI) Aayog. He succeeds Arvind Panagariya and will be holding the rank of a Union Cabinet Minister because of the office allotted to him. The Prime Minister is the ex-officio Chairperson of NITI Aayog. Prime Minister Narendra Modi inaugurated Rajaswa Gyan Sangam 2017 at Vigyan Bhawan, New Delhi. Anita Karwal has been appointed as the new Chairperson of the Central Board of Secondary Education (CBSE). She will be replacing Rajesh Kumar Chaturvedi, who has been appointed as the Director General of the National Skill Development Agency. India’s largest autonomous public research and development organisation – The Council of Scientific and Industrial Research (CSIR) – has been ranked as the 9th best government organisation in the world, according to the Scimago Institutions ranking World Report 2017. This report was topped by the Chinese Academy of Sciences. Sunil Arora has been appointed as the Election Commissioner of India, replacing Nasim Zaidi who had retired in July 2017. The Chief Election Commissioner (CEC) is Achal Kumar Joti while the other Election Commissioner is Om Prakash Rawat. 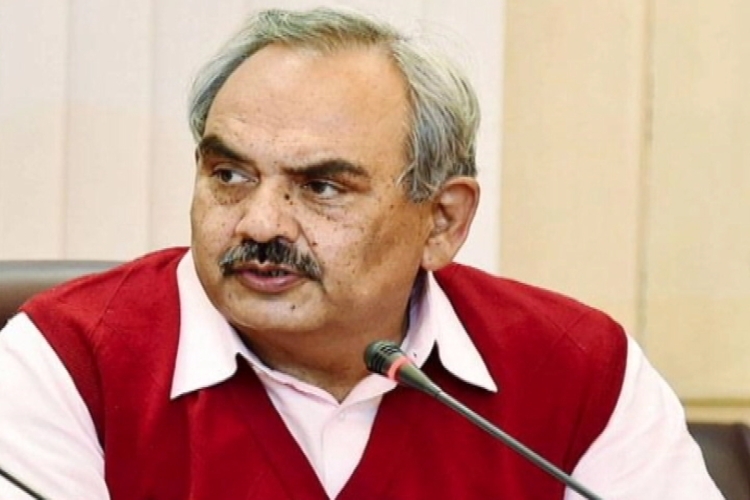 Rajiv Mehrishi was appointed as the Comptroller and Auditor General of India. He will succeed Shashi Kant Sharma. The Central Board of Direct Taxes extended the deadline for linking of Aadhar with PAN till 31st December 2017. This linkage has been mandated through Section 139 AA (2) of the Income Tax Act, 1961 which says that persons having PAN and are eligible to obtain Aadhaar must intimate their Aadhaar number to the tax authorities.